In 1985, Dr. Ivan Misner started his first networking group. His motivation for starting the group was to drum up business for his management consulting practice. In putting together the group, he wanted to create an atmosphere where his colleagues would feel safe discussing and sharing details about their businesses. To create this atmosphere, he limited participation to one person from each profession. Participants in the group wouldn’t have to worry that their competitors were listening as they shared sensitive business information. The decision to limit participation to one from each profession turned out to have a major impact on the life of Dr. Ivan Misner, and lead to the creation of BNI (Business Network International). As word of this great networking group spread, Dr. Misner started getting requests from people he could not let join the group. One of those people asked for his help in creating another networking group. He helped, and a snowball effect started. More people heard about the groups, and wanted in. By the end of year, there were more than 20 groups operating. Today, there are over 6,000 BNI groups across the globe, averaging 25 members per group. A friend of mine which I frequently discuss business with was a member of BNI for around a year. As a result, I had a number of tough questions to ask based on a former member’s experience. My friend believed that continuing with BNI after a year served no purpose. During the year, he made connections with the group members. There was no point in his mind of continuing to go to a weekly meeting which lasted 1 ½ hours, and paying a few hundred dollars per year in memberships dues. Dr. Misner tackled the various issues that I brought up by introducing the concept of “VCP” (Visibility, Credibility & Profitability). Before getting referrals, a business must create visibility or community awareness. Members of the community must know who the business serves and what it does. 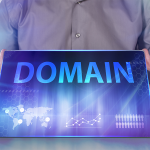 After visibility is established, then a company must establish credibility. 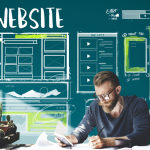 Potential referrers must be comfortable linking their reputation with the business they are recommending. The process of establishing trust takes both time and effort. (Getting to know a person by spending an hour with them once per week can help this process.) Only once visibility and credibility are in place will a business receive referrals, resulting in profitability. Dr. Misner said that my friend left at the exact wrong time. Exactly when his credibility was starting to take root. I asked if he could send me research showing how the benefits of being part of BNI, in terms of new business referrals, increased with time. The chart below (based on research from an independent firm) shows that the value of referrals dramatically increases after 18 months of membership, and accelerates even further after five years of membership. Dr. Misner asked me about the average transaction size of my friend’s business. He suggested that the larger the transaction size of a business, the longer it might take the member to start seeing referrals. For example, a florist might start seeing referrals very quickly, compared to real estate agent. Dr. Misner suggested that the real question was how much time one should be spending networking, rather than the length of the weekly BNI meetings. In his view, most business people spend far too little time networking. Dr. Misner thinks that business people should engage in networking in person, at places like BNI and Chamber of Commerce meetings, and online using sites like LinkedIn. He mentioned a study in which several thousand self-identified successful networkers were asked how much time they spend networking. The answer was 6 ½ hours per week on average. However, these individuals still thought that they spent too little time on networking activities. They thought the ideal amount of time was 8 hours per week on average. BNI members have to pay several hundred dollars a year in annual membership dues. There is also a cost to buying food at meetings, as meals are often consumed at meetings. All in, the costs of being a BNI member are between $600 to $1000 per year. When discussing costs, Dr. Misner suggested that looking at the cost of BNI in isolation was the wrong approach. The purpose of a BNI membership is to bring a company business. A BNI membership has the same objective as advertising through other means such as Google ads, radio ads or billboards. 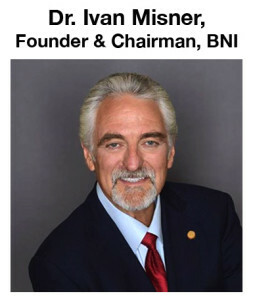 Dr. Misner thought a BNI membership offered an incredible value compared to other avenues for bringing in business. Each year, members report (using their name or anonymously) how many referrals they receive, and the value of the business that they received. In a recent year, 5.6 million referrals were reported, leading to $6.5 billion in business transactions. Given that there are around 160,000 BNI members, there is an average of 35 referrals per member and $40,625 in new business generated per member. 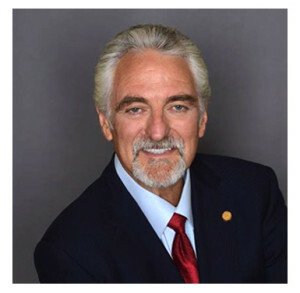 Dr. Ivan Misner is the Founder & Chairman of BNI, the world’s largest business networking organization. BNI was founded in 1985. The organization now has 6,300 chapters throughout every populated continent of the world. Last year alone, BNI generated 7.1 million referrals resulting in over $3.3 billion US dollars’ worth of business for its members. Dr. Misner’s Ph.D. is from the University of Southern California. He is a New York Times Bestselling author who has written 17 books including his latest book called; Room Full of Referrals. He is a monthly columnist for Entrepreneur.com and Fox Business News and has taught business management at several universities throughout the United States. In addition, he is the Senior Partner for the Referral Institute – a referral training company with trainers around the world. Dr. Misner is on the Board of Trustees for the University of LaVerne. He is also the Founder of the BNIMisner Charitable Foundation and was recently named “Humanitarian of the Year” by the Red Cross. He is married and lives with his wife Elisabeth and their three children in Claremont, CA. In his spare time!!! he is also an amateur magician and a black belt in karate. If you want to learn more about how to network effectively, I recommend reading 25 Networking Tips from the Pros.